PT Istaka Karya (Persero) – PT IK or referred to as “Istaka” is a state-owned company in Indonesia with principal business in general construction industry. Istaka running business in the field of construction services, inlcuding planning, implementation and other innovative products. Originally registered as PT Indonesian Consortium of Construction Industries (Persero) or PT ICCI, a consortium company consist of 18 major construction companies in Indonesia. In 1986, this consortium company was officially organised under the name of PT Istaka Karya (Persero). Headquartered in Jakarta, Istaka runs its business through 2 operation divisions, namely Operating Division I and Operation Division II. 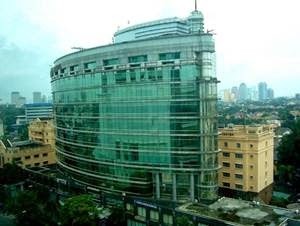 Its head office is registered at Graha Iskandarsyah Lt 9 Jl Iskandarsyah Raya No 66, Kebayoran Bara Jakarta Selatan. In term of financial performance, Istaka produced satisfactory results in 2014. PT Istaka Karya (Persero) managed to increase its total revenue by 192.06%, from Rp 12.6 billion in 2014 to Rp 36.8 billion in 2014. Istaka posted Rp 28.5 billion in total current year profit of 2014, an increase from Rp 0.5 billion in the same period of last year, according to Indonesia State-Owned Enterprises Profile 2014 issued by the Ministry of State-Owned Enterprise as cited by JobsCDC.com. S1 majoring in Civil Engineering, Architecture Engineering, Electro Engineering. Strong academic results with minimum GPA of 3.00 (Please indicate the origin of the college). Honest and have a good team work. Willing to be placed at Project Sites (Java or outside Java).